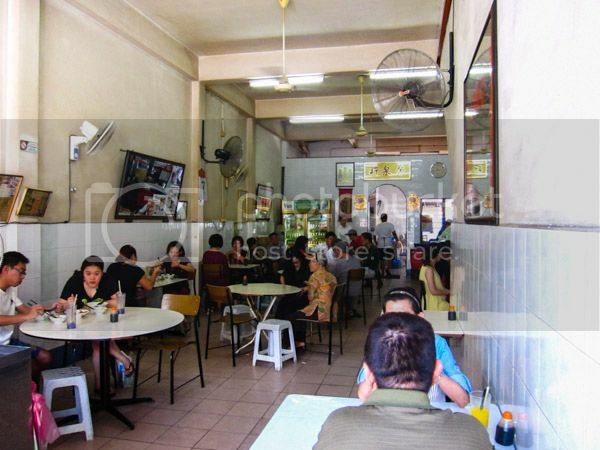 Restoran Xin Quan Fang was my first stop of the day for breakfast during my recent trip to Penang. I wrote a couple posts back that I did not manage to try this out because it was sold out when I arrived at the scene at around 1245PM. 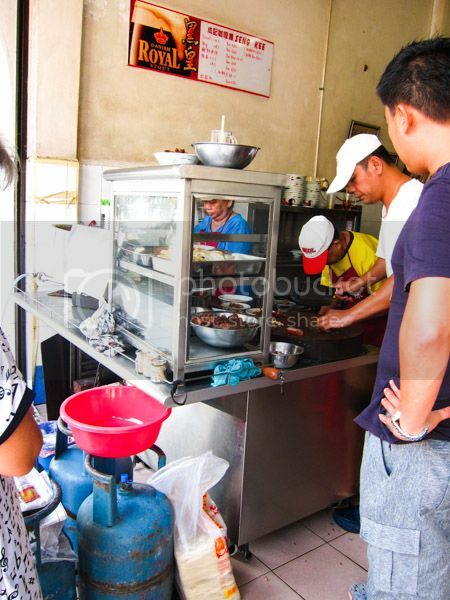 However for this visit, my friend and I were there at around 1030AM to make sure we get our curry mee fix. The coffee shop was already packed at that time but thankfully, there was an empty table left which we swiftly occupied without hesitation even though it could fit a party of 6. We were told to get a table first and the staff will drop by to take our orders when they are ready/free. It took a while though but it was bearable as we were happily sipping our iced white coffee and poking our smartphones. Moreover, it was simple enough to know what to order since they only serve curry noodles. It took less than 1 minute to finalise our dishes. I opted for curry mee while my fried went for dry curry mee. The portion of the noodles was just nice. 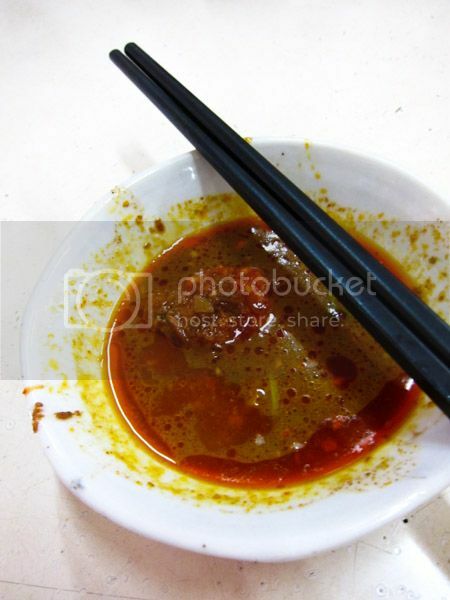 Unlike the one I frequent to in Kuala Lumpur, this stall’s curry broth was light yet packed with aroma and taste. It was not spicy but it did tickle the tastebuds a little. 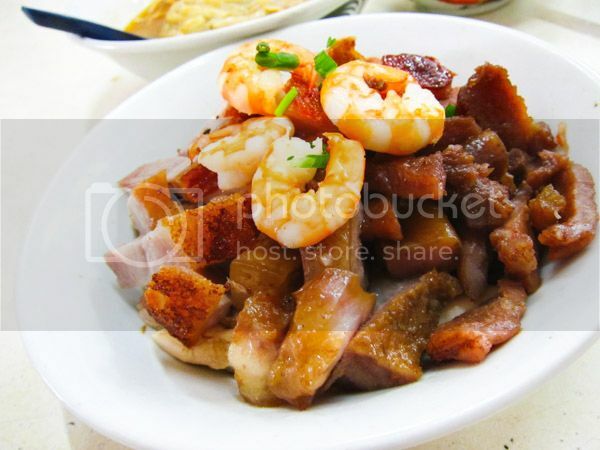 A separate serving of ‘meat platter’ (poached chicken, BBQ pork, roast pork, and prawns) was ordered for sharing. Beneath the meats were juicy, plump beansprouts. Their special chili dip was somewhat amazing. The tangy-ness of homemade chili paste (akin to chicken rice’s chili sauce) soaked in aromatic curry broth may sound odd but it was executed brilliantly and went really well with the meat. 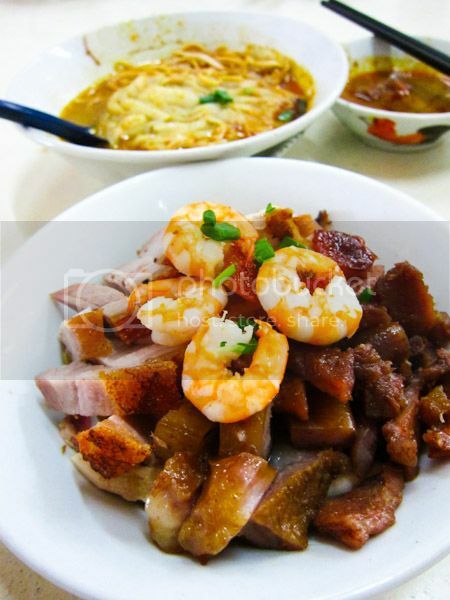 The final bill came to about RM22 for two bowl of noodles and the meat platter. 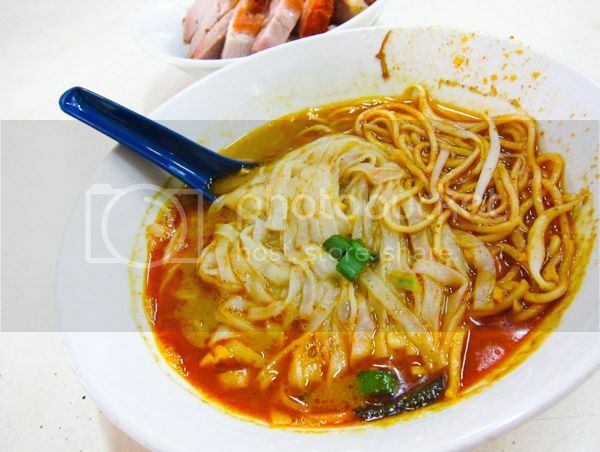 With this visit, now I know why some called them the best curry noodles in Ipoh. The best? Maybe not to me but they sure are amongst the good ones that I’ve tried.